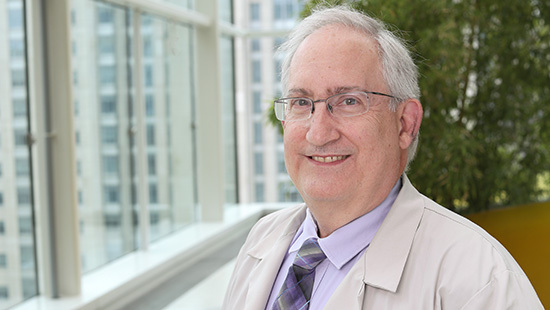 The Division of Neonatology at Northwestern University Feinberg School of Medicine’s Department of Pediatrics offers extraordinary care for all critically ill infants. "We strive to provide exceptional care to families and their infants before birth at the Chicago Institute for Fetal Health, in the Neonatal Intensive Care Unit and when they go home in our Cardiac and Neonatal Follow-Up Clinic. Our faculty provide cutting-edge treatments by engaging in a wide variety of research to improve the outcomes of all our patients." Our division is ranked 11th nationally by U.S. News and World Report. We offer extraordinary facilities and programs, including the extracorporeal membrane oxygenation program, one of fewer than 100 such programs nationally. 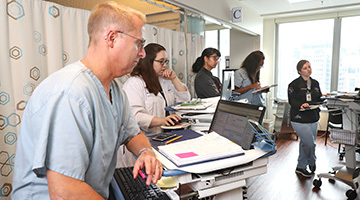 The division takes care of over 2,000 infants annually in both Ann & Robert H. Lurie Children’s Hospital of Chicago's 44-bed Neonatal Intensive Care Unit (NICU) and the Prentice Women’s Hospital NICU. High-risk infants are followed by the NICU team after discharge in the Neonatal & Cardiac Intensive Care Follow-Up Clinic. The Chicago Institute for Fetal Health enables pre-birth counseling and pediatric care planning for pregnant women carrying babies with medical problems. The Regenstein Cardiac Care Unit provides a place where infants with heart disease can receive exceptional care. The division's research team is composed of both physicians and full-time investigators and is funded by the National Institutes of Health and the American Heart Association. 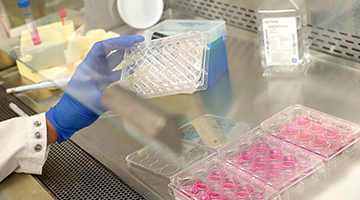 The research team uses a combination of translational, epidemiological and bench research to better understand the causes of illness in infants and works to develop new therapies. View our publications feed. 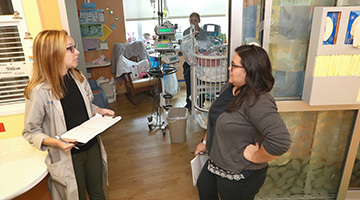 Residents and fellows have an opportunity to work with the division’s 32 faculty members, as well as the interdisciplinary team that staffs the Lurie Children’s approach to neonatal care. In addition to the work they do at Lurie Children’s, program participants will attend high-risk deliveries at the neighboring Prentice Women’s Hospital. In our neonatal fellowship program, four fellows are chosen annually from candidates matched through the National Resident Matching Program.